MidPen Housing is a non-profit real estate developer that is perhaps the leading producer of high quality and affordable housing in California, if not the country. We were hired to produce a series of inspirational short films shown at their annual “all-hands” meeting. What comes to mind when you think of the term “low-income” housing? Chances are you get a picture of the stereotypical “projects”: cheaply built and poorly maintained high rises in dangerous, low-income neighborhoods. Unfortunately, for most people in this country who have to live on a small income, this is their only option for raising a family. 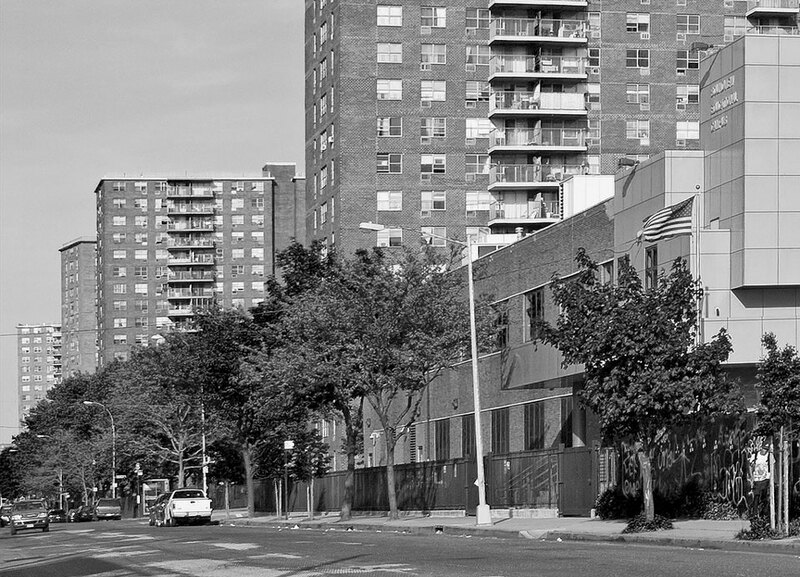 Housing projects in the Bronx. © Dan Deluca. Creative Commons 2.0. Image converted to black and white. In 1971, a group of financially successful individuals in what is now considered Silicon Valley wanted to put a change to all of that. MidPen Housing was created to turn the affordable housing industry upside. They have accomplished what many would consider to be a miracle. Since its founding, MidPen has amassed a billion dollar+ portfolio of multi-family properties specifically designed for low-income families. They have done it producing high-density and garden-style apartment communities that rival, and in some cases even surpass the quality of market-rate properties. MidPen’s award-winning “Station Center” community is a paragon for contemporary housing design. But they don’t stop there. They also provide a suite of services for the families in their communities. Services like after-school tutoring, transportation assistance for the elderly, daycare and computer training. This particular film represents a cross-section of the entire company, sharing what they do, why they do it, why they chose MidPen, and what it takes to succeed at the company. We interviewed a dozen employees at all levels of the company, from the president and CEO to maintenance technicians and property managers as well as administrative personnel. An overwhelming message that came through was that succeeding at MidPen not only requires being exceptional at the work you do, but having a general care for the community the company serves. In the end, the series we produced for MidPen was a huge success and garnered a roaring ovation. It was a tremendous honor to produce these films for an organization making such a profound impact on their community. Shot with Blackmagic Design’s 4K Production camera along with Panasonic’s GH4.